For the past two years, thousands of Southern California residents have flocked to the Del Mar Fairgrounds in September to enjoy a weekend like none other. 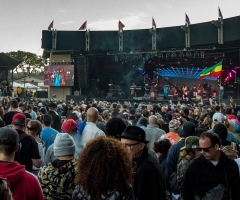 The grounds – being home to the Del Mar Fair, horse races, and summer concert series – is known for its eloquence, sophistication, and its prime oceanfront location; it's only natural for participants to expect nothing less than a world-class, thrilling experience from a blossoming three-day music festival. Enter KAABOO: a 'mix-perience' to the highest degree, combining music with art with comedy with cooking with acrobats with shopping to render the all-around epitome of Southern California living. Now in its sophomore year, participants from KAABOO's inaugural launch had spread the word that KAABOO 2016 was the place to be. Just by entering the gates on Day One, attendees knew that they were about to receive what they paid for and much, much more. Unlike any other festival, KAABOO maintains a certain je ne sais quoi – a mysterious aura that all is not what it seems. Almost as if you're immersed inside a giant carnival tent, attendees always had something to stare at. Structures around the festival had been erected hundreds of feet high displaying the work of local wall artists, body-painted female dancers on roller-skates were weaving between the crowd with bubble guns, and the minute you sit down, you look up to find a human dressed as an eerily lifelike lion or tiger or zebra looming over you on stilts. 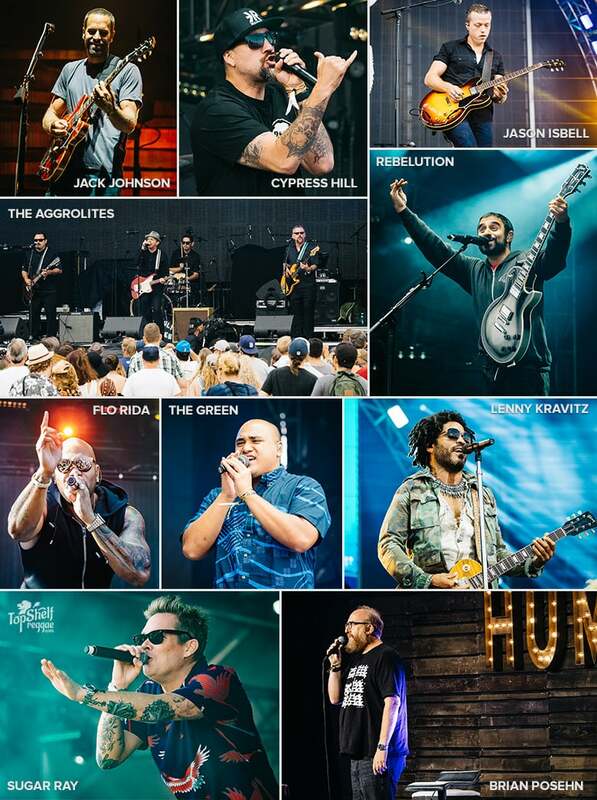 Yes, KAABOO had a human zoo. But, the sights wasn't all that KAABOO had to offer. Perusing the grounds, festival-goers found that KAABOO had imported entire beaches into the mix, with musical stages reflecting local surf break names like 'Tourmaline' or 'Trestles'. The Sunset Cliffs and Grandview stages had the sand, and attendees were more than happy to take advantage of the sunshine by laying out to tan between musical acts. The Grandview Stage even had its own pool! If the sunshine got too much, festival-goers could take a break at the cool (yet, almost kooky) air-conditioned interior of the Humor Me Stage – where, you guessed it, the comedians were hiding. Right next door was the Palate Building (also air-conditioned), with what seemed like countless exhibits of priceless art from artists both local and world-renowned. And, just in case you didn't have enough to entertain you, there was live art and cooking happening all throughout the day! The line-up was one for the record books, and unlike other modern music festivals that cater primarily to EDM, KAABOO had something for every generation. In fact, if you're ever-nostalgic for the 90s and 80s, this year's KAABOO line-up would've been your ultimate calling. Notable performances were Aerosmith headlining Day 2, Lenny Kravitz, Sugar Ray, Hall & Oates, and Blues Traveler, among more modern bands like The Struts (who absolutely killed it), Rebelution, The Green, Flo Rida, and so many, many, more. 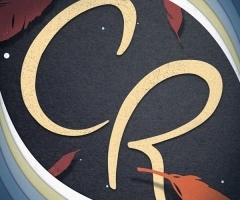 To measure who had the best set is simply impossible – all were on point and just as absorbing. The whole weekend was riveting beyond belief. 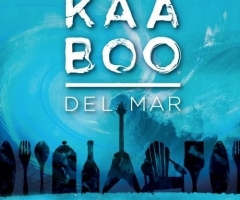 Until next year (already booked for September 15th-17th 2017), KAABOO brings their running score to 2-0 with a solid 2016 win.